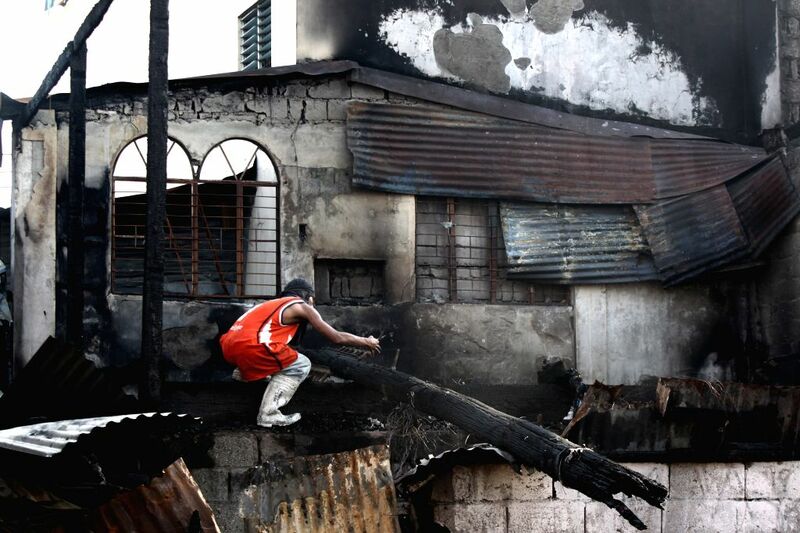 MANILA, Jan. 13, 2015 - A resident looks for reusable materials after a fire hit a slum area in Manila, the Philippines, Jan. 13, 2015. 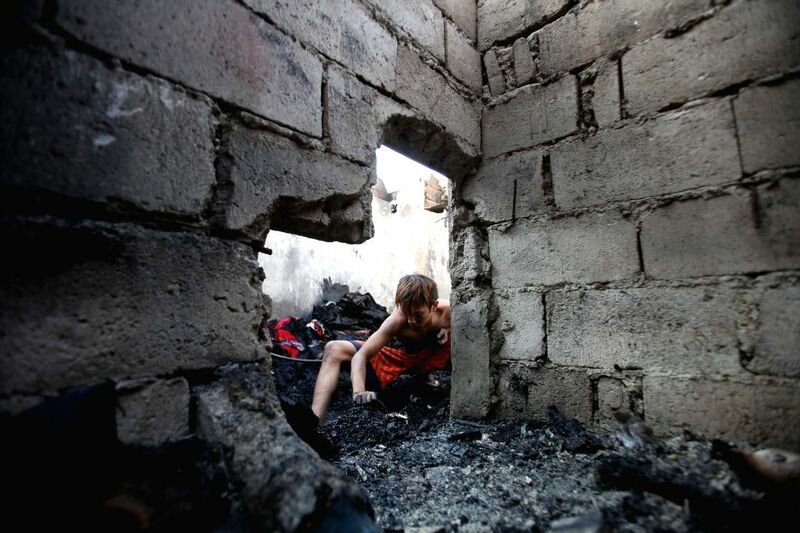 More than 100 homes were razed in the fire, leaving 300 families homeless. 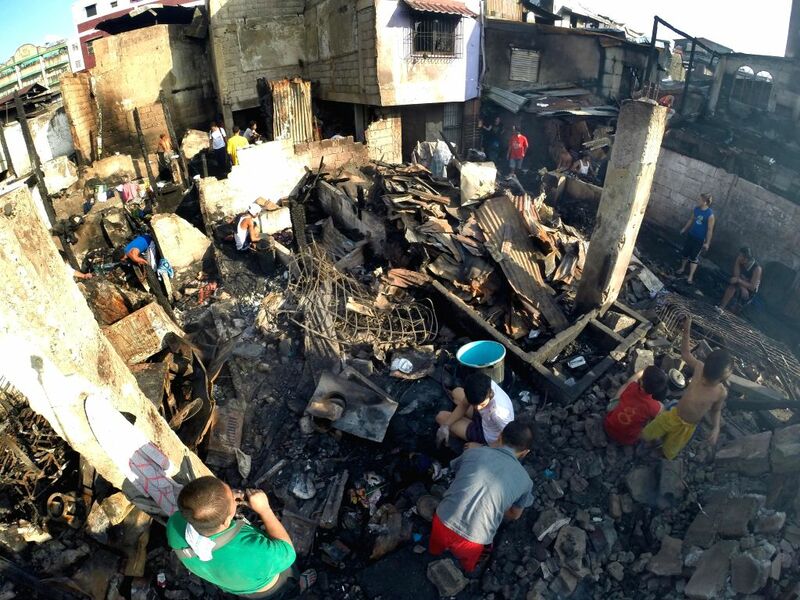 Residents look for reusable materials after a fire hit a slum area in Manila, the Philippines, Jan. 13, 2015.